I get my mom a new Chicken Soup for the Soul book every year for Christmas! She is always so excited to see which one will be added to her collection, and can't wait to start reading it. 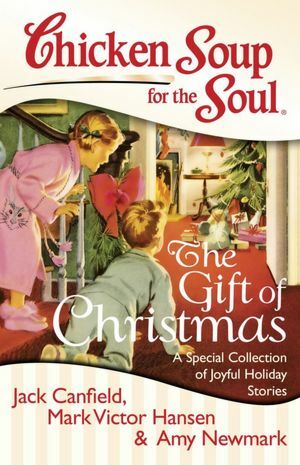 Chicken Soup for the Soul: The Gift of Christmas will delight readers with its stories about the joy, wonder, and blessings of the holiday season. This special collection is filled with joyful, heartwarming and merry stories about holiday traditions, family, and goodwill that the whole family will enjoy. 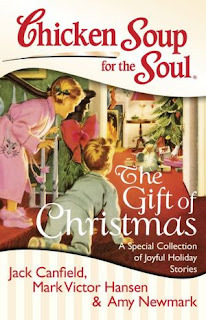 Most of these stories originally appeared in a limited edition book called Chicken Soup for the Soul: Tales of Christmas. This extra long collection of 121 Christmas stories will warm readers’ hearts and spread the wonder of the holiday season with its tales of love, joy, and awe. Makes a great holiday gift. 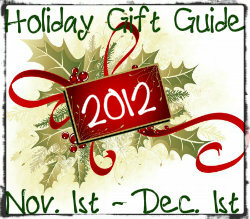 This giveaway will end December 16th at Midnight EST. Disclaimer: I received a complimentary copy of Chicken Soup for the Soul: The Gift of Christmas for the purpose of hosting a giveaway. Regardless, I only recommend products or services I use personally and/or believe will be a good fit for my readers. The views and opinions expressed on this blog are purely my own. Results may vary. No monetary compensation was received. My favorite holiday tradition is opening presents on Christmas Eve. One of our favorite traditions is driving around looking at Christmas lights. My favorite tradition is picking out each of my kid's ornaments. Taking a ride and looking at all the Christmas lights. Making a warm batch of chocolate ship cookies for "santa" after we come home from late Christmas Eve mass. Christmas baking...lots and lots of baking. Having Ukranian foods for Christmas. Letting the kiddos find the Christmas pickle! Baking Christmas cookies with my granddaughter.